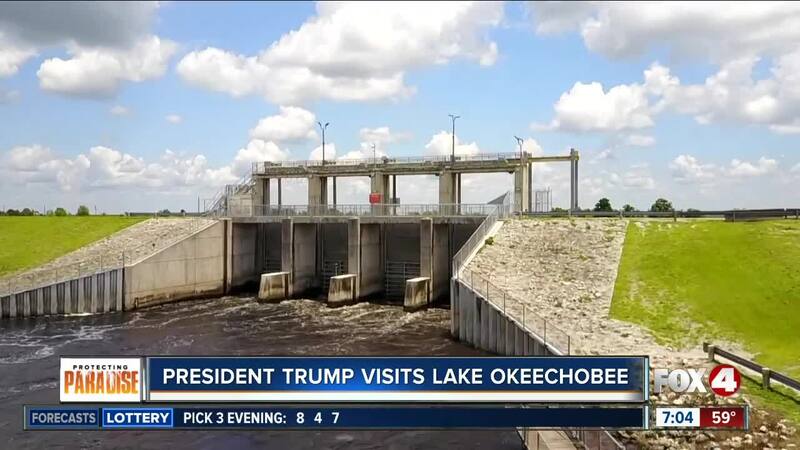 President Trump is visiting Lake Okeechobee on Friday, to talk about the work on the Herbert Hoover Dike around Lake O . The first goes from Thursday, March 28 through Sunday, March 31 for the Palm Beach area. This type of alert is issued anytime President Trump flies into Palm Beach International Airport and stays at his Mar-a-Lago resort on Palm Beach. The second 'VIP Movement' alert is for Friday, March 29 for Canal Point, a community on the southeastern edge of Lake Okeechobee. 2020 budget proposal is seeking $63 million for Everglades restoration. Environmentalists and high-profile Republican supporters of President Trump say the budget doesn't include enough money for protecting Florida's wildlife. In addition to the flight restrictions, Palm Beach police said road closures and checkpoints will be in effect around Mar-a-Lago no later than 5 a.m. on Thursday. During the closure period, all forms of travel, including pedestrian travel, are prohibited on S. Ocean Blvd. from S. County Rd. to Southern Blvd. The travel restrictions will also extend eastward to the ocean.